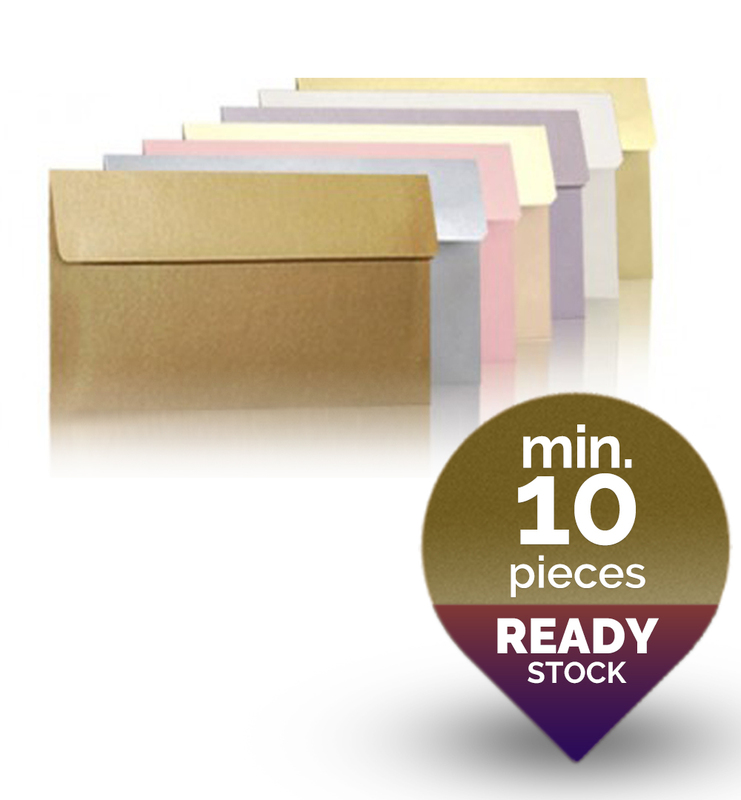 Check out our exclusive range of heavy weight European influenced metallic envelopes with soft round radius flaps. 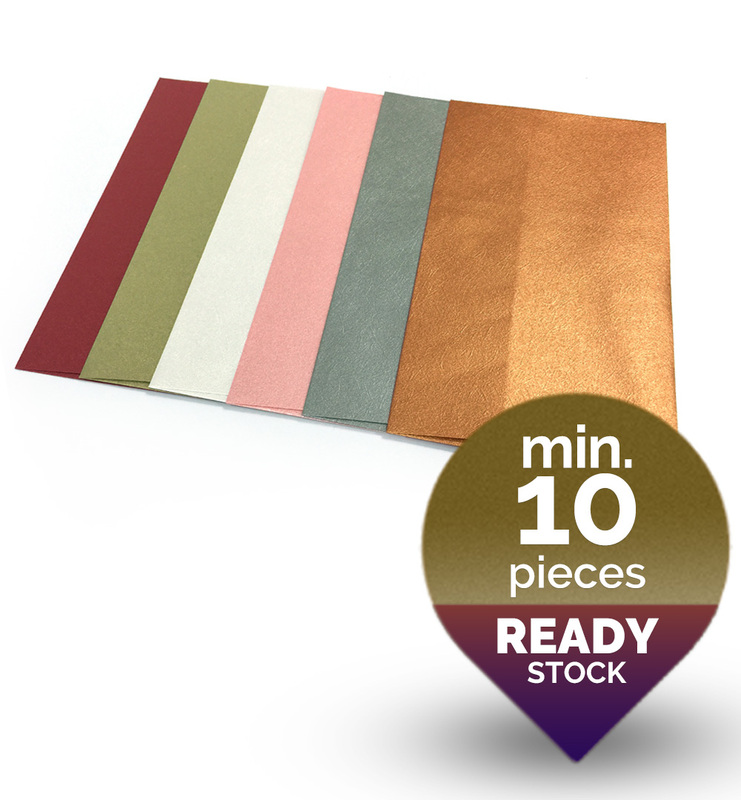 Available in different pearlescent tints and sizes, our metallic envelopes exude style and class. Ideal for wedding announcements, formal invitations, or special events. Prices start from $0.30 per piece.